Of course, get the feel and close up experience with some of the K-Pop fashion finds you pick in the city. Of course, for the love of Korean food. Say hello to Kimchi, Bulgogi and Bibimbap! It's about time the Boholanos, the Filipinos fly with PAL! 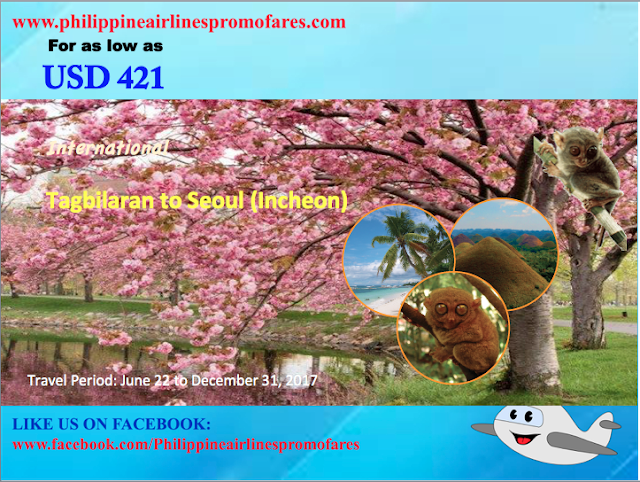 And of course, if you come from Seoul, the island of Bohol has a lot to wonder. One of the world's wonders, the Chocolate hills are found in Bohol. Enjoy its magnificent mountain view. Plus, the world's smallest primates, the tarsiers are only endemic in Bohol! So do check that out. Just a few things you can check.